Whether you are a corporate executive, business owner or professional, you’ve probably searched the Internet for coaching services at some time because you ae facing challenges at work or home or want to move up to a higher level of success or happiness. Or you feel stuck, not knowing what you want, fearful of the future, or you are not living in alignment with your values, inner truth and purpose in life. Or you are unsatisfied with your relationship but don’t know how to make lasting changes. Your success, happiness and fulfillment can’t be left to chance, but can be the result of mastering the thinking and behavioral strategies to overcome, inspire yourself and get over what’s holding you back. 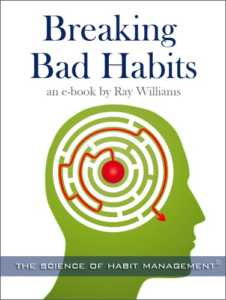 Ray Williams has developed powerful intervention strategies to assist individuals to get past stuck and overcome obstacles, to move forward to new ground and new success and happiness. Making changes is never easy in life, and we often don’t know how to start, or what changes need to be made in what order. It can be frustrating, confusing and fraught with fear, when we don’t know what to do and how, even if we know changes need to be made to be happier or more successful. It’s also sometimes difficult to be objective about your relationships and what needs to be changed. Having an experienced and highly trained coach can help you navigate that path successfully is critical. Or you may not be experiencing any particular problems or challenges in your life or career, but want to grow personally, to reach that next level of success and fulfillment. If the above describes you and your situation, then you can partner with Ray as your coach to be inspired, become more powerful and overcome the obstacles to a more satisfying life. He has used proven pragmatic strategies along with evidenced based psychological insights to assist hundreds of clients find their true path.